is a fully registered private college with registration number REG/HAS139 to offer pharmaceutical and Clinical medicine courses to the level of diploma. 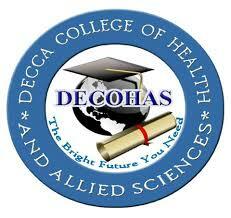 CCoHAS has been established by its own Charter (City College of Health and Allied Sciences. Memorandum of understanding and Articles of Association, 2012), Registered under National Council for Technical Award of the United Republic of Tanzania on the 30th June, 2013. Over the years City College of Health and Allied Science made significant achievements in terms of increasing student’s enrolment and level of academic performance. The College located at Temeke, Toangoma – Mikwambe, Dar es Salaam. Holder of bachelor degree in Doctor of Medicine (M.D) from recognized Institution with three years experience of teaching in college or holder of advanced diploma in clinical medicine (A.M.O). GPA of 4.0 or above will be added value. Preparing handouts or other written materials. Setting Tutorial assignments, such as essays, analysis of papers, statistical problems, etc. Promote excellence in all service programmes of the department. Any other reasonable duties as directed by the Head of College, department or their nominated representative subject. Holder of Bachelor degree in Pharmacy with teaching methodology from recognized institution with three years experience. GPA of 4.0 or above will be added value. Assist in research and consultancy projects. Assist in other service programmes of the department. Holder of Diploma in Pharmaceutical Sciences with teaching methodology from recognized institution with three years experience. GPA of 4.0 or above will be added value. Ordinary Diploma in Medical Laboratory Sciences working experience in the relevant field of not less than three years. GPA of 3.5 or above will be added value. Making up solutions, assembling apparatus, delivering, and equipments to rooms. Attend and participate in staff and working group meetings and trainings as appropriate. Holder of Form IV/VI Certificate with Diploma in Library and Information Studies and working experience of at least three years in a similar position plus ICT skills, OR holder of certificate with certificate in Library Studies/Successful completion of Certificate Library Examinations and working experience of at least three (3) years in a similar position plus ICT skills. Performs Library and clerical duties e.g. handling of simple enquires from readers, bibliographical searching, collection of Library statistics, etc. Handles simple enquires from readers. Assists readers in bibliographical searching. Assists in collection of Library statistics. Assists in proper shelving of books and periodicals. Assists in processing added copies and continuations. Assists in coping catalogues with CIP data. Assists in manual operations in various sections of the library. Perform any other related duties as may be assigned by one’s reporting officer. Form IV Certificate with credit passes in Kiswahili and English, plus 80 w.p.m shorthand and 50 w.p.m typing speed, tabulation and manuscript stage II plus three (3) years experience in secretarial duties. Must have sufficient knowledge in computers in at least ward processing spreadsheet, database, e-mails and internet. (Must have certificate of computer). Takes care of all facilities under one’s charge. Works with Heads of Departments. Ensures that copies of letters are filed in relevant files. Ensures that the respective office is [actually open. Receives telephones and takes messages. Interested candidates for any of the above positions should submit cover letter, Current resume, indicating clearly the position applied for, copy of certicified academic certificates, Currently 2 passport size and certificate of registration with professional bodies in Tanzania, and names with contact information (email addresses and telephone numbers) of three work related referees. 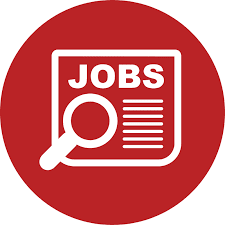 Interested and qualified applicants should send their details to the Human Resources Manager by hand or by postal address at, City College of Heath and Allied Sciences, P.O. BOX 90372, Tuangoma-Mikwambe, Temeke, Dar es Salaam.